Star-Telegram. A few months later, he received a call from a gentleman who told him that he showed the story to an important friend who didnâ€™t think much of it. And who might that be? asked Jeff. The next thing he knew, he was whisked off to the North Pole to meet with this â€œvery important friend,â€ and the rest is, well, as they say, history. 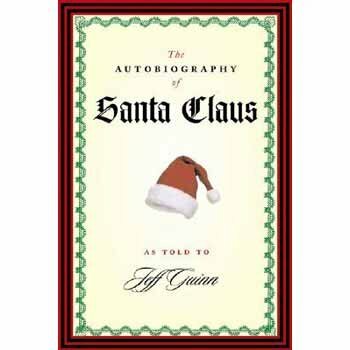 An enchanting holiday treasure, The Autobiography of Santa Claus combines solid historical fact with legend to deliver the definitive story of Santa Claus. And who better to lead us through seventeen centuries of Christmas magic than good olâ€™ Saint Nick himself? Families will delight in each chapter of this new Christmas classicâ€”one per each cold December night leading up to Christmas!